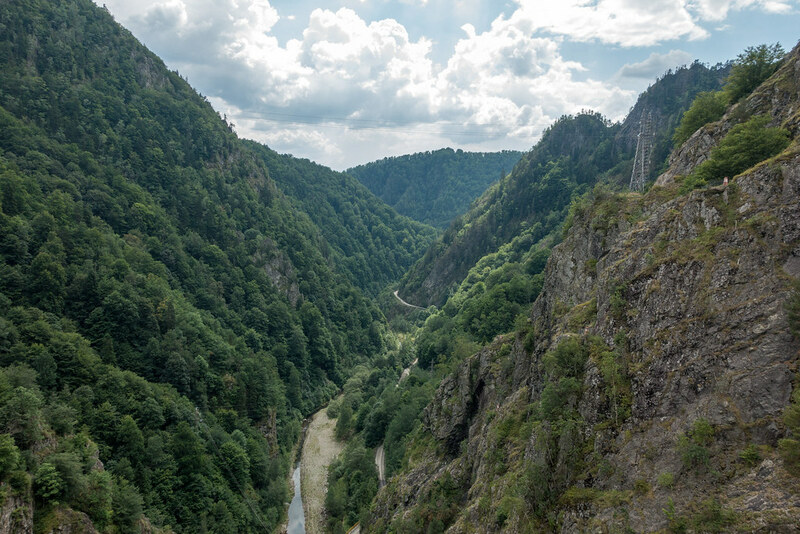 Post 5 of a series detailing our Eastern Europe road trip. View all the posts so far here. 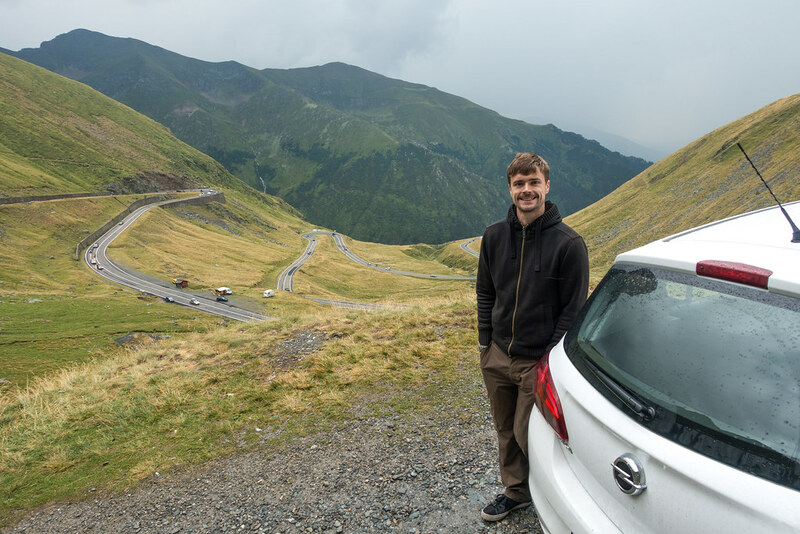 When I started researching Romania, it wasn’t long before I came across the Transfăgărășan highway: named the “best driving road in the world” on BBC TV programme Top Gear (which just happened to be Steve’s favourite programme – at least pre-2015). 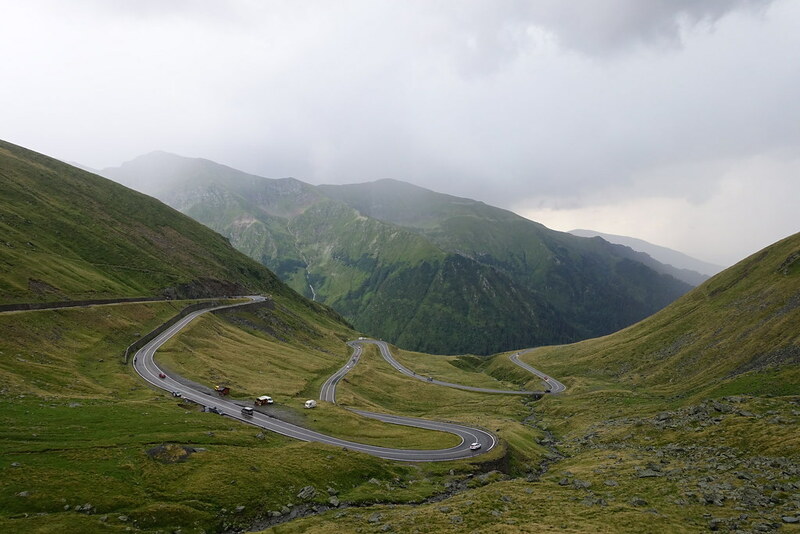 As we’d be driving between the cities of Brasov and Sibiu anyway, I thought the Transfagarasan sounded like too good a detour to miss. 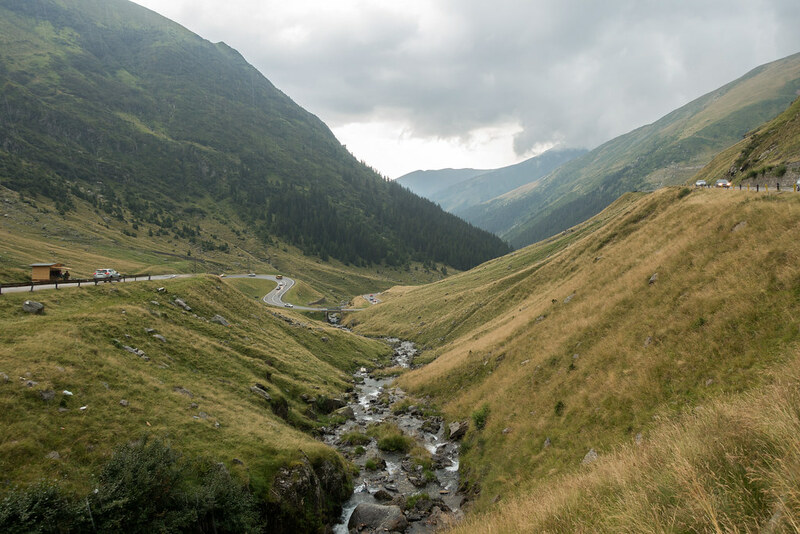 Driving out of Brasov, past Bran and to the bottom of the Transfăgărășan, the landscape became increasingly breathtaking. 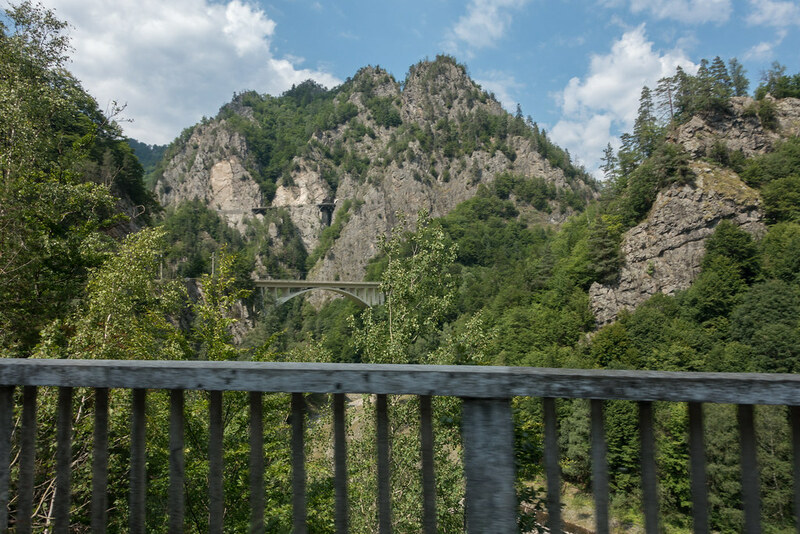 Some of the mountainside roads were scarily high, but offered incredible views across the Carpathian Mountains and its valleys. 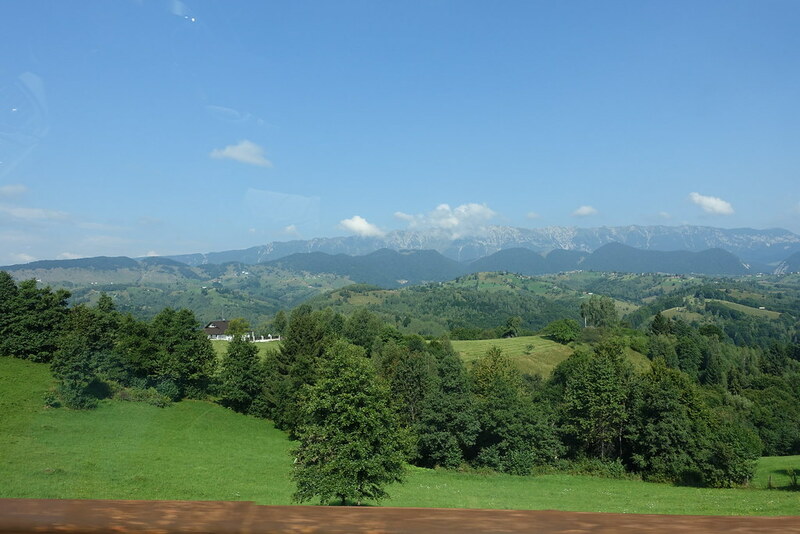 Unfortunately I didn’t manage to get any decent photos of these views from the window of the moving car, so you’ll have to take my word for it! 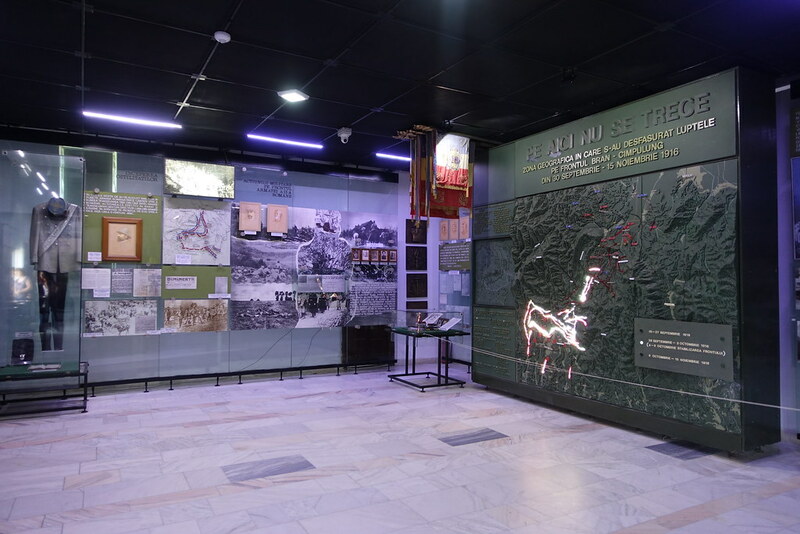 When we eventually found somewhere to stop and stretch our legs, it turned out to be a war memorial and museum. 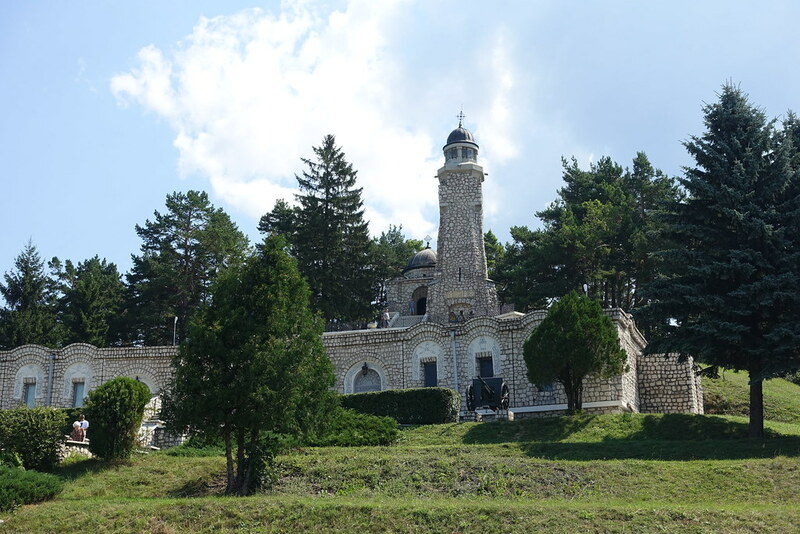 We thought the tall, white stone structure was just an elaborate lookout point until, as we climbed the stairs, a man ran out of a door to tell us we had to pay to enter. We weren’t really interested in the museum, but decided to pay the 5 lei entry fee anyway just to get a decent break from the journey. 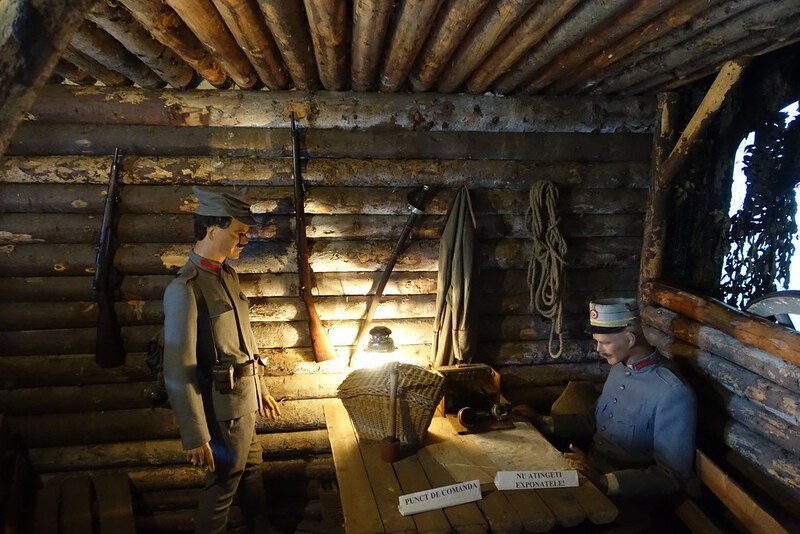 The museum held a great deal of information about World War I in Romania – far too much to read just then – as well as some odd dioramas created with mannequins. 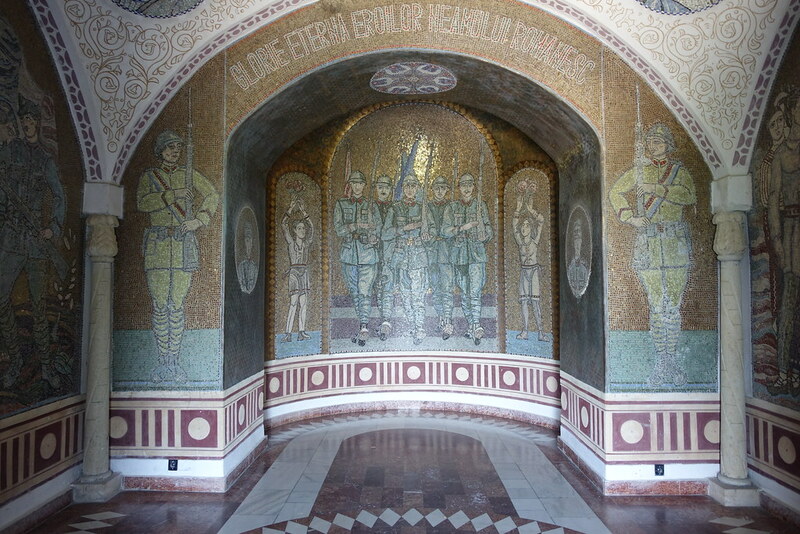 Under the museum was the memorial, which was like a subterranean church decorated with intricate mosaics. 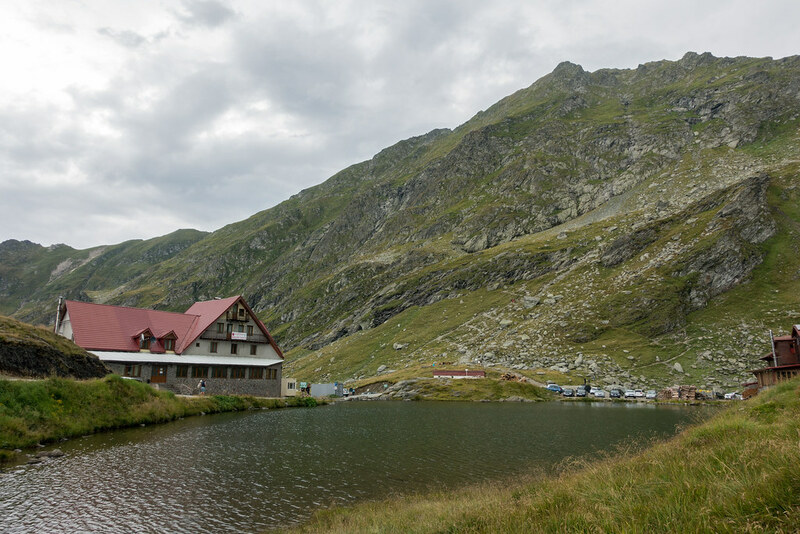 The Transfăgărășan mountain road began in earnest at Vidraru Dam, where many people had parked to have a look around. 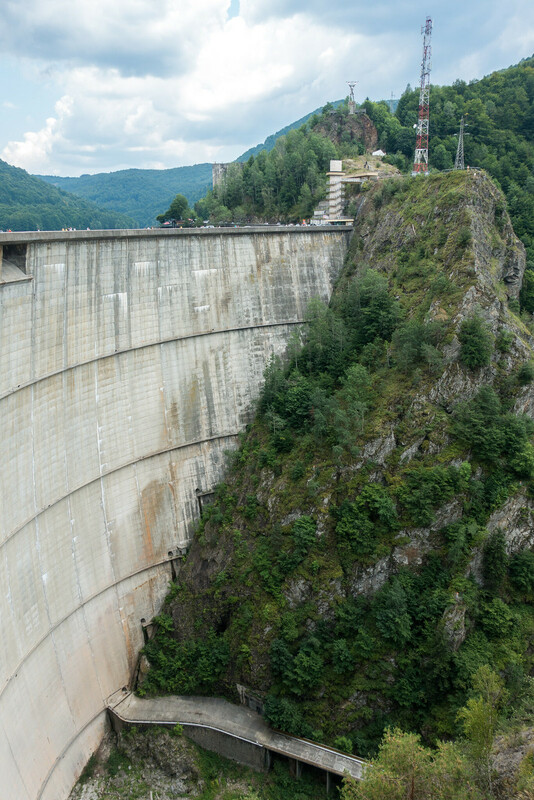 We parked up briefly to eat our packed sandwiches, but there wasn’t much to see beside the very large dam (it reminded me a lot of Hoover Dam in the USA). Then followed a long drive through twisting, densely forested roads, where there was very little to see save for the occasional glimpse of Lake Vidraru through gaps in the trees. Just as I was starting to think this may have been a waste of time, the trees began to disperse and we found ourselves in the mountains. 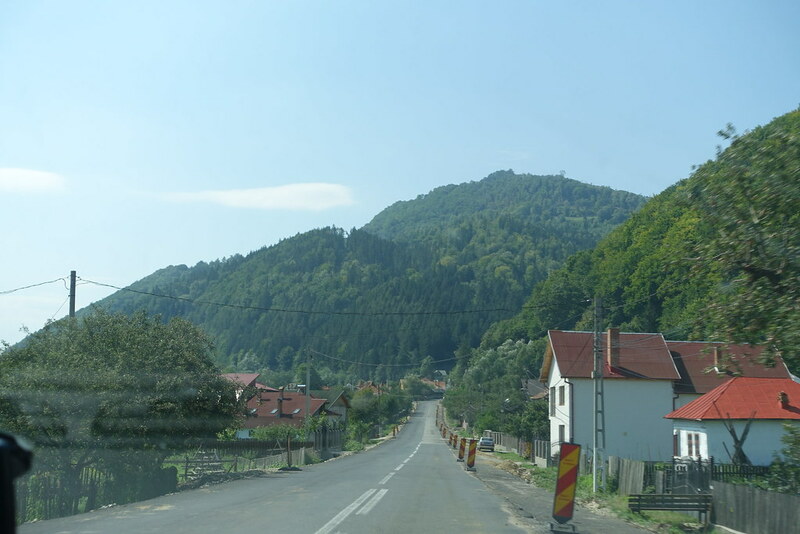 The scenery was beautiful – spectacular at times – and it was tempting to stop and take photos every few minutes, but difficult to park the car along the narrow roads. 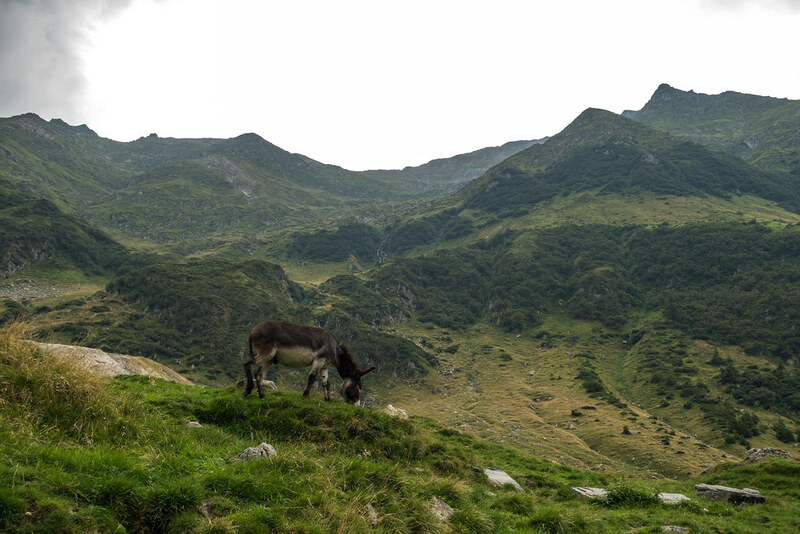 No sooner than we had found a suitable place to pull up – besides some donkeys, a stream and a dramatic valley – it began to rain. I got out to take some photos, but as thunder and lightning began to rage we returned to the car to wait for the storm would pass. 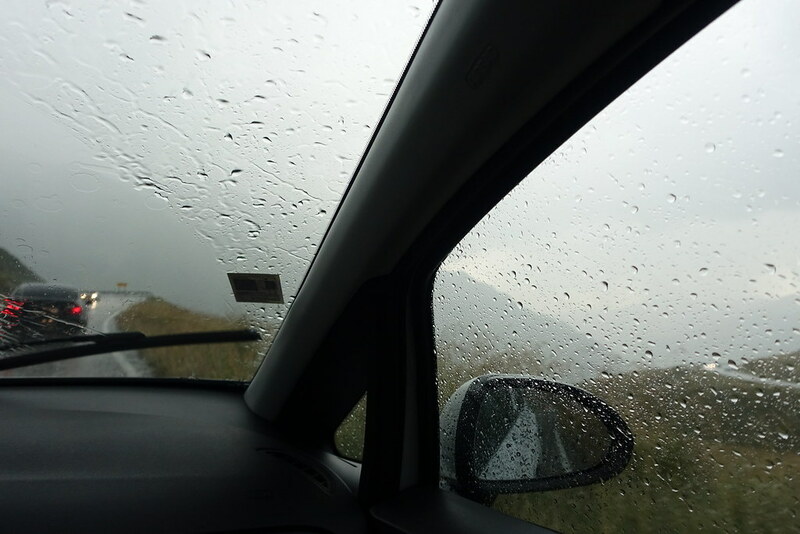 After several minutes, we decided to soldier on in spite of the hail pelting our windscreen. We hadn’t expected this kind of weather in August! 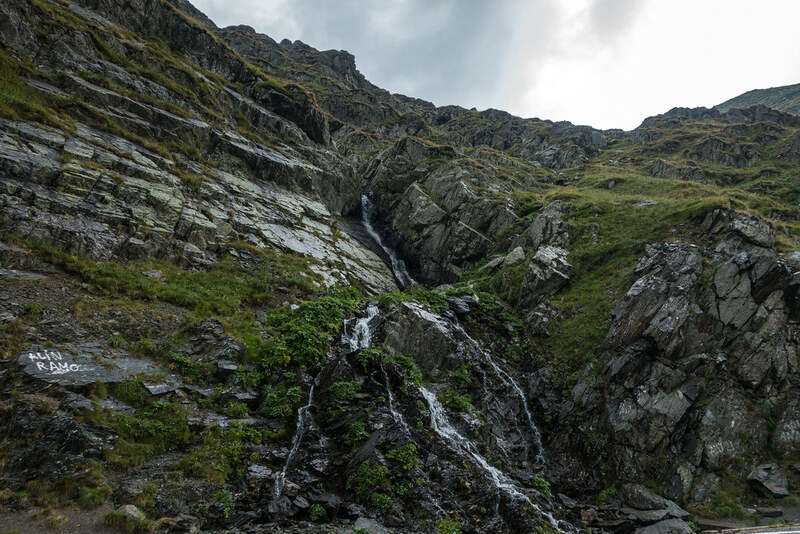 As we crawled carefully around more precipitous corners, the storm began to abate and we stopped near a waterfall, on a ridge overlooking the concertina of roads we’d just navigated. It was an awesome sight to behold even under thick grey clouds, and it was dry enough now to get out and take some more photos. 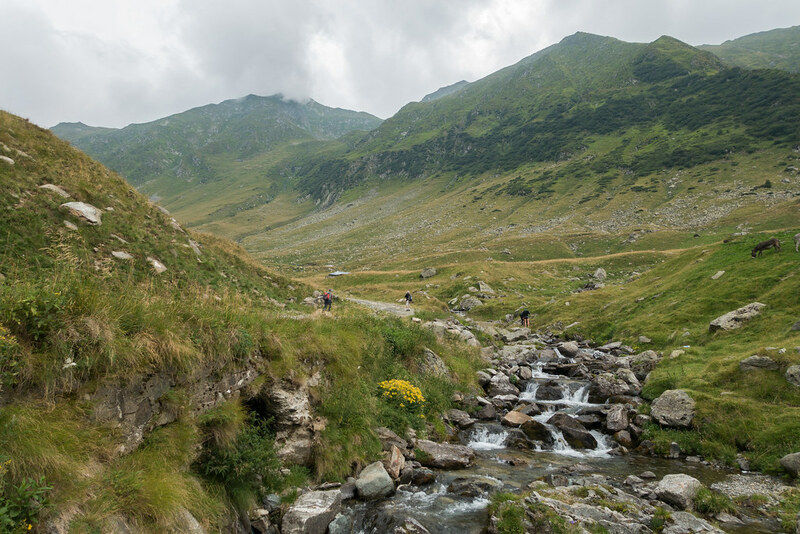 Continuing our journey through a long tunnel, we finally came out at Bâlea Lake. 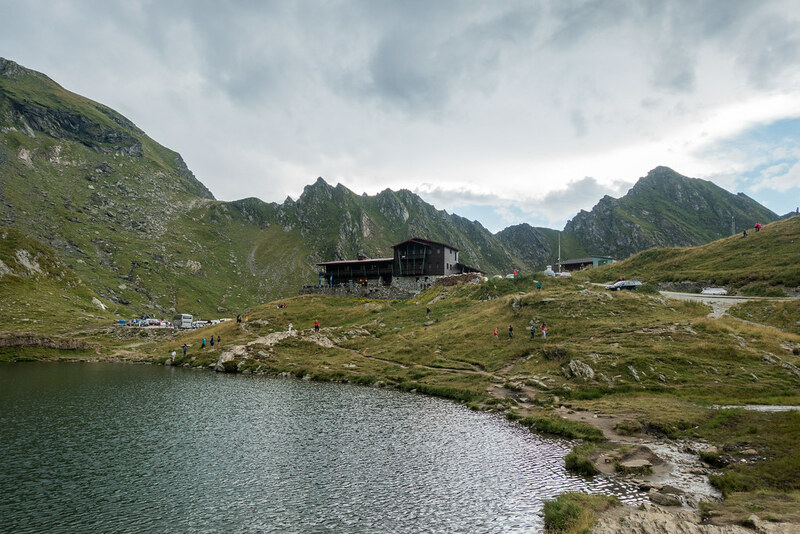 To our surprise, given the wildness of the landscape we’d just traversed, this area was filled with cars, people, and stalls selling food and gifts. The weather was beginning to improve, and we stopped in the large car park to get out and explore. 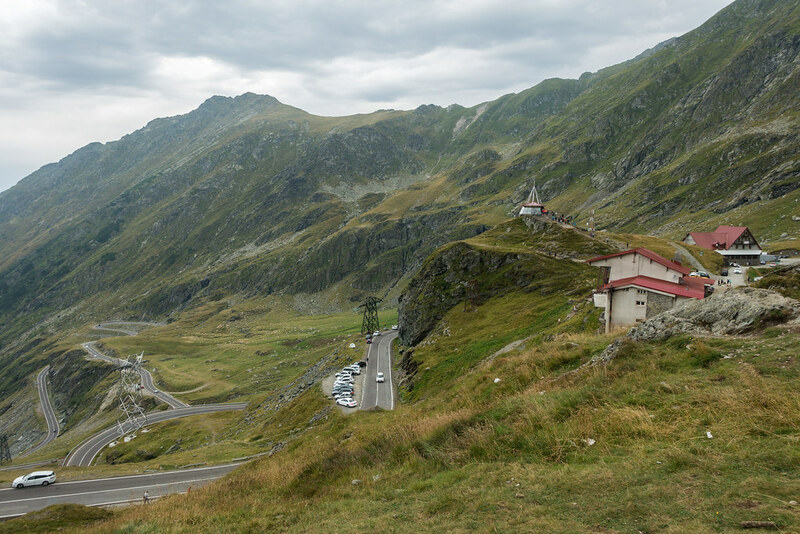 The views of the concertina road below were even better here than at our previous stop, and dramatic mountains surrounded us on all sides. Returning to the car and continuing on our way, from here the road turned downwards and began to wind its way back into the forest. 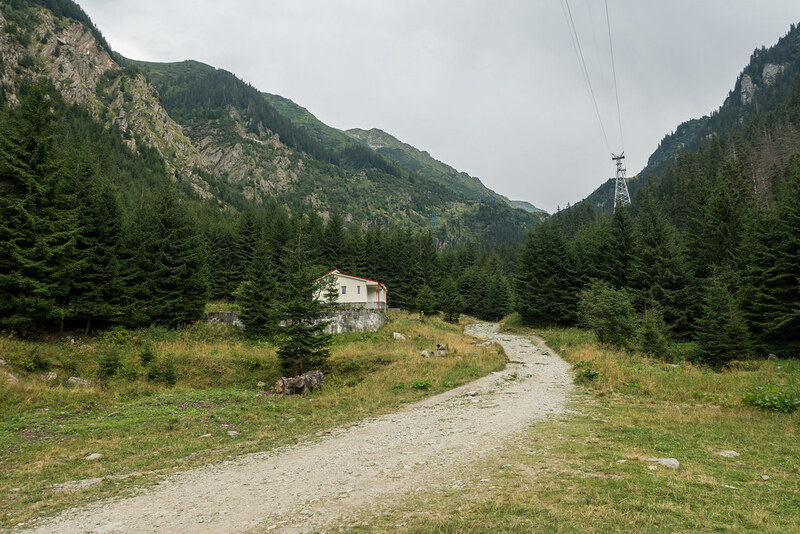 We stopped again near Balea Waterfall, where there were a few more food stalls. 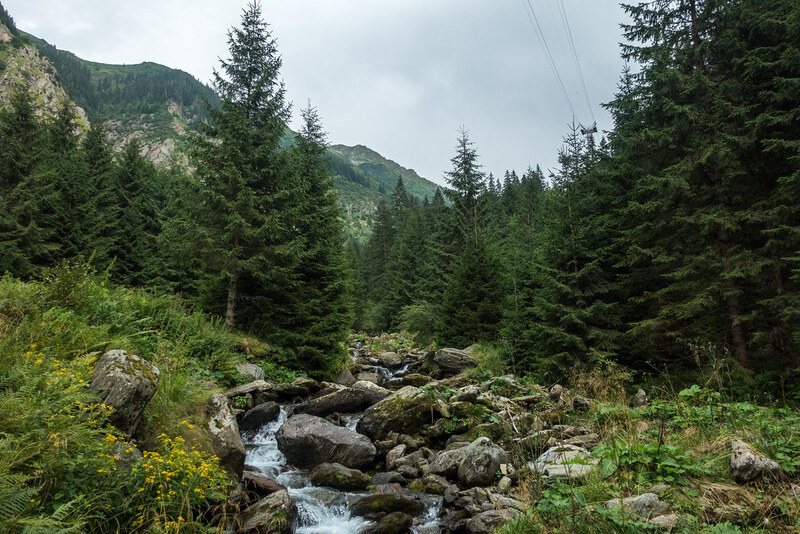 I got out to have a look around, and although there wasn’t time to walk to the waterfall I did find some picturesque river rapids and pine trees. 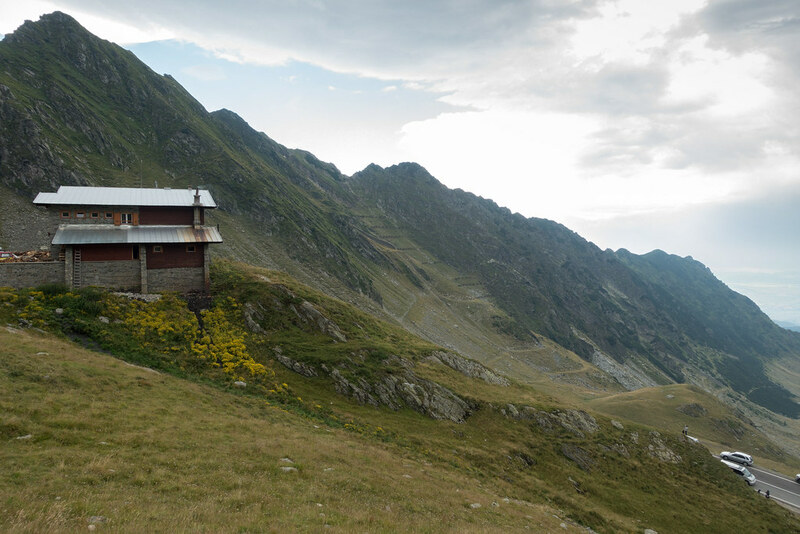 Coming to the end of the Transfăgărășan, I knew I’d enjoyed it but felt that we hadn’t been able to make the most of it. 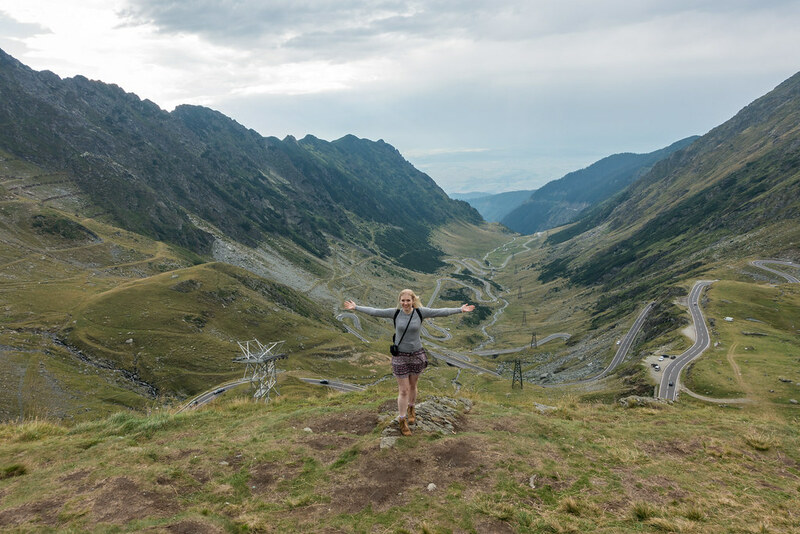 The scenery had been spectacular, without a doubt, however several factors had dampened our experience: the poor weather, the fact Steve wasn’t feeling well, and the very boring Vauxhall Corsa we were driving. 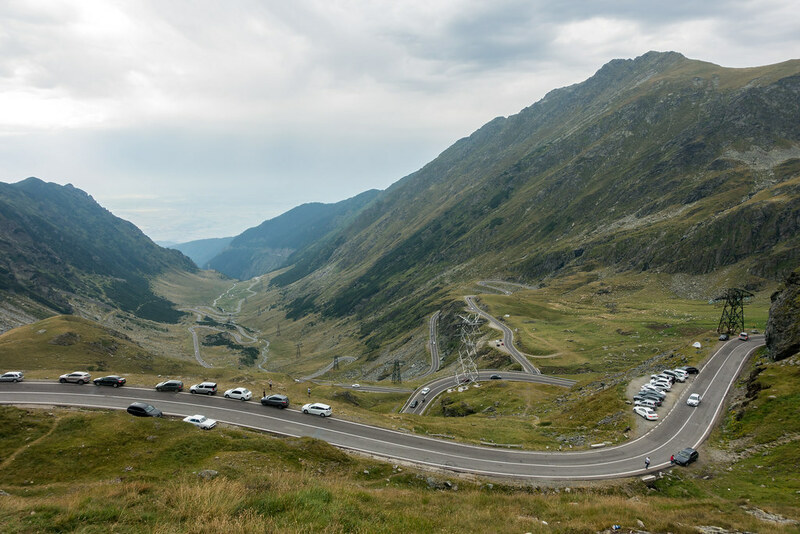 It wasn’t possible for us, but if you’re planning to drive the Transfăgărășan yourself do try to hire a ‘fun’ sports car for it, and to pick a day on which good weather is guaranteed – it will ensure that you enjoy an amazing drive. Our next destination, and our final night’s stay in Romania, would be the historic city of Sibiu – which I’ll cover in my next post. 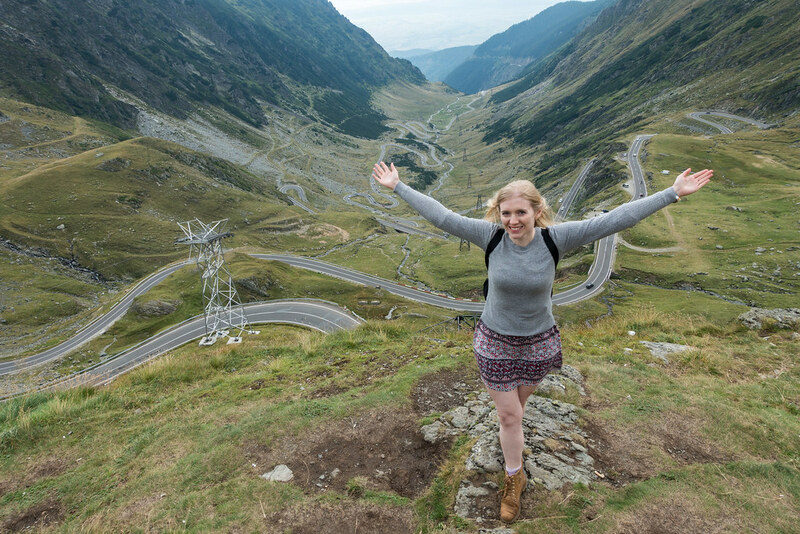 Posted in Eastern Europe, Photography, Romania, TravelTagged best driving road, road trip, top gear, TransfagarasanBookmark the permalink.